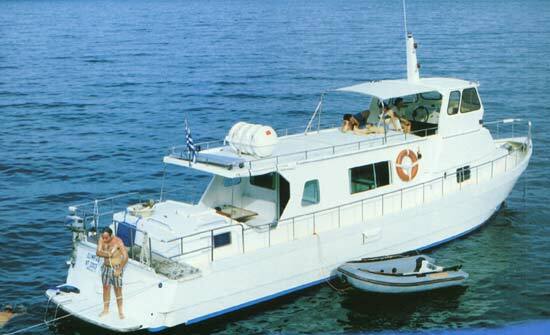 OLYMPIAS is a fine powerboat built in Greece, made of GRP. 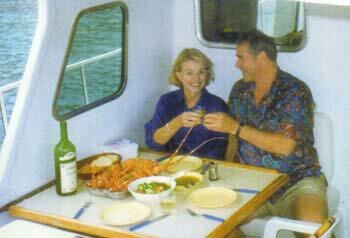 Very stable, safe and comfortable as well as fast, of 18 knots cruising speed. So, this enables it to go fast from one island to the other, that way the client on board has more time to visit the islands and enjoy small beautiful beaches. The captain who is also, the owner of the boat will take you to the most scenic islands and beaches for a swim, something that is difficult to be done with bigger boats. 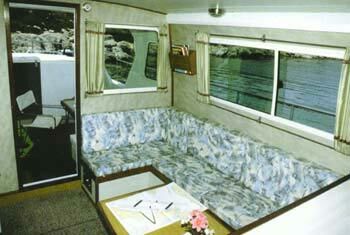 It can comfortably accommodate up to five guests in three cabins. 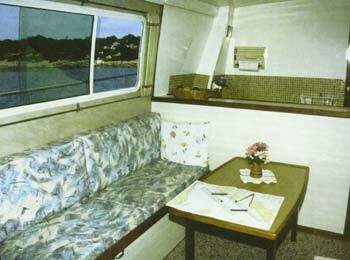 The aft double cabin is completely separate with an en suite head and shower. The other two cabins are forward the galley and share a head and shower. Also, the two forward cabins and the saloon are air-conditioned.